Set with a brilliant, round cut 1/2ct diamond solitaire in an elegant four claw setting, surrounded by a cushion set halo of diamonds, this exquisite 18ct white gold ring also features diamond set twisted shoulders. 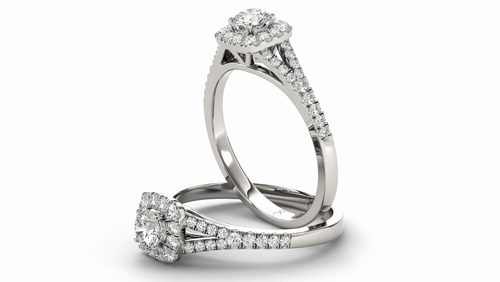 Celebrate your engagement with a one-of-a-kind ring by The Diamond Story, Certificated by GSI. 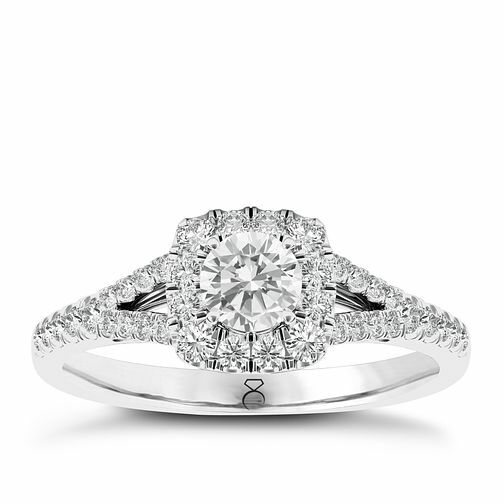 The Diamond Story 18ct White Gold 1/2ct HI I1 Halo Ring is rated 3.7 out of 5 by 3.